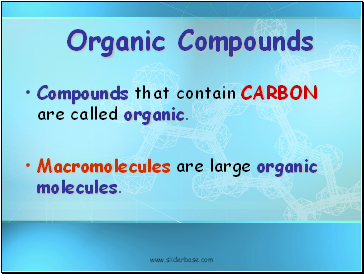 Compounds that contain CARBON are called organic. 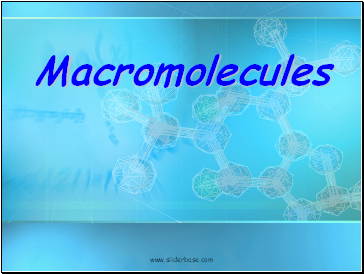 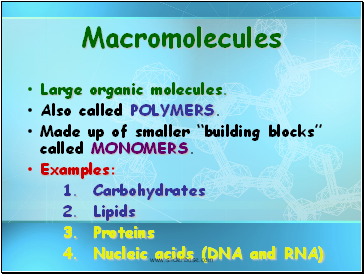 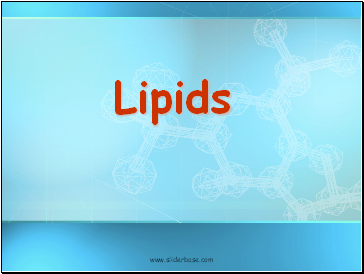 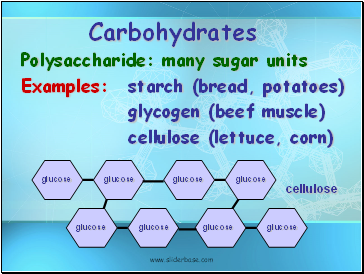 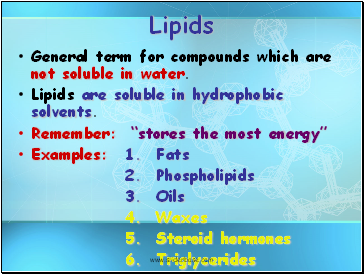 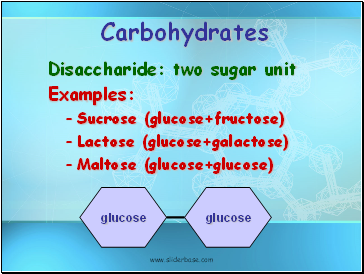 Macromolecules are large organic molecules. 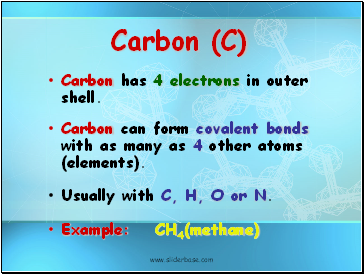 Carbon has 4 electrons in outer shell. 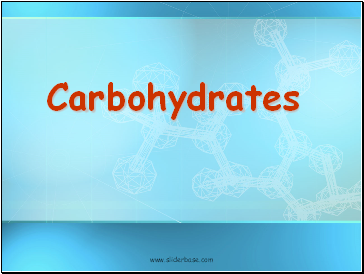 Carbon can form covalent bonds with as many as 4 other atoms (elements). 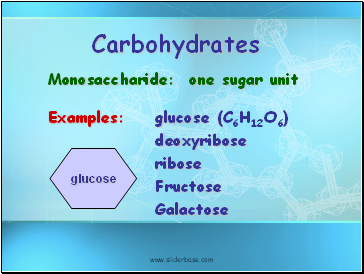 Usually with C, H, O or N.
Made up of smaller “building blocks” called MONOMERS. 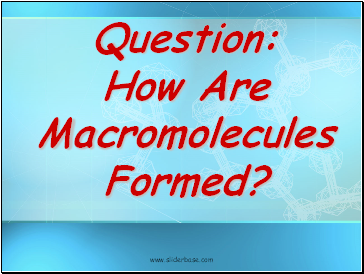 Question: How Are Macromolecules Formed? 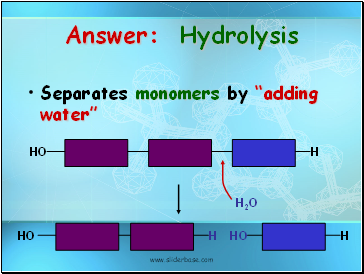 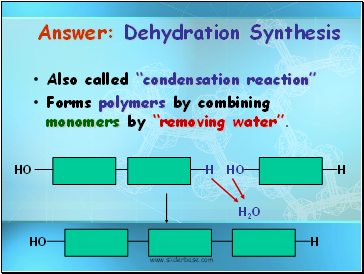 Forms polymers by combining monomers by “removing water”. 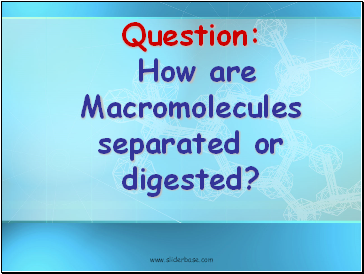 Question: How are Macromolecules separated or digested? 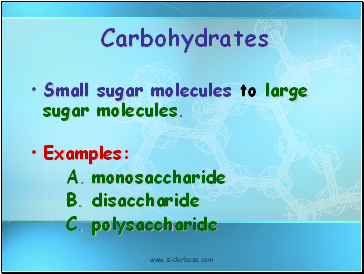 Small sugar molecules to large sugar molecules.